Another month is coming to an end, so it's time we look ahead to April's release calendar. It's a quieter month than the last few, but it's not entirely lacking some exciting new games. What are you looking forward to? Meat Boy and Bandage Girl need to save their baby, Nugget, when he's kidnapped by Dr Fetus. You'll need quick reflexes in a game that uses just two buttons, yet is still "super challenging but fair". Following on from the game's official announcement less than three weeks ago, some more screenshots of Super Meat Boy Forever have been released, in addition to some character art. A young slab of meat on a quest to save his girlfriend made of bandages from an evil baby claiming to be a doctor - it's a tale the video game world never knew they'd be captivated by. Now here's the sequel. Merge Games has announced that they will be releasing a new line of Signature Collections of the games they publish, and revealed the release date for the upcoming stealth game Aragami. 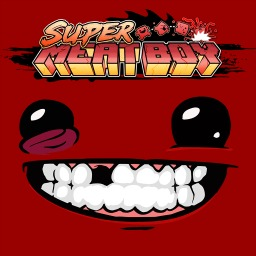 The first Super Meat Boy game with trophies was Super Meat Boy, which was developed and published by Team Meat and released on 06 October 2015. The next Super Meat Boy game scheduled for release is Super Meat Boy Forever for PlayStation 4, which has a release window of April 2019.